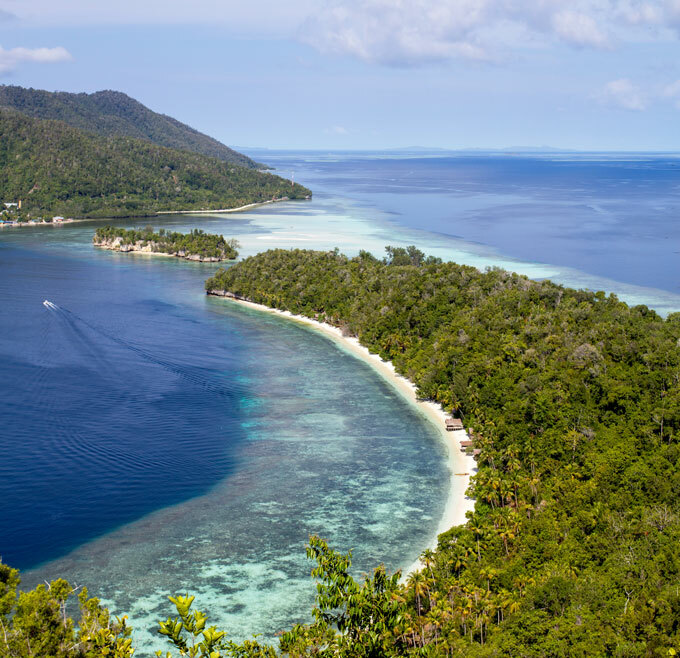 With a great house reef and ocean-view bungalows our on-site dive center, a meeting with Lumba Lumba (the Indonesian word for dolphins) is guaranteed. Lumba Lumba Guesthouse is located in Warasnus cove, the favourite feeding area for dolphins, whales and orcas. 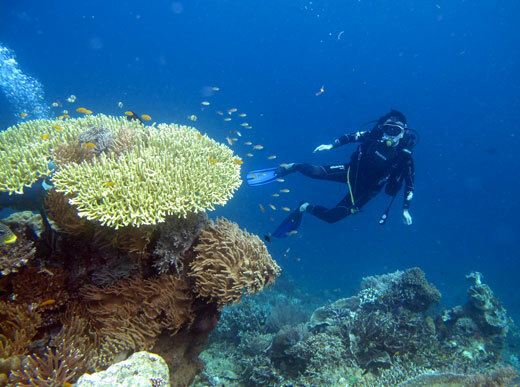 Our guesthouse is an excellent location for recreational divers and snorkelers alike. 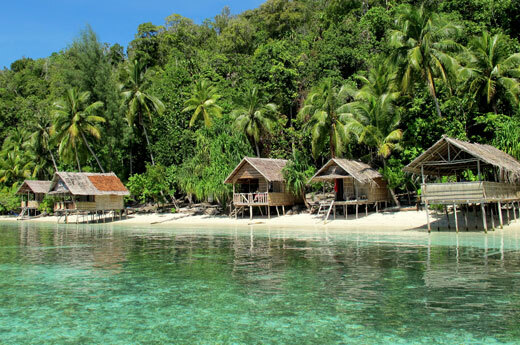 We are in Waranus Bay, which is a 1 km long powder-soft white sand beach with pristine coral reefs, right in the middle of Raja Ampat's most famous diving-sites. We are within a protected marine conservation where the no take zone rules apply to everyone. Our village, Yenbuba, is about 200 m away and can be reached on foot during low tide and it is about 23 km to the nearest port.